Famous People From North Dakota & Celebs Born In North Dakota. Wiz Khalifa, Josh Duhamel, Kellan Lutz, Alan Ritchson & Leslie Stefanson are some of the celebrities who hail from North Dakota. Being the 39th state of the United States of America, North Dakota is situated in the Upper Midwestern region of the country. Although the capital of North Dakota is Bismarck, the largest city of the state is Fargo. It is often referred to as ‘Peace Garden State’ or ‘Roughrider State’. A recent boom in oil extraction in the state has resulted in population increase and low unemployment. The state enjoys a continental climate with extreme conditions such as hot summers and cold winters. Several famous personalities have been born and raised in the state of North Dakota. 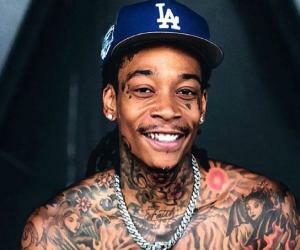 The ever-so-popular rapper Wiz Khalifa was born in North Dakota. 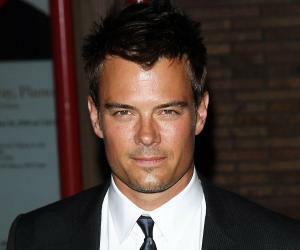 Numerous well-known actors such as Josh Duhamel, Leslie Bibb, Kellen Lutz and Angie Dickinson are all from this state. The state of North Dakota has produced some famous musicians as well, such as the likes of Johnny Lang, Bobby Vee and Peggy Lee also call North Dakota their homes. North Dakota has also shaped many athletes and sportsman. MLB catcher Chris Coste is a fine example of sportsmen from North Dakota. Even astronaut James Buchli hails from this state. Keep reading to know all the other eminent celebrities who are from North Dakota & celebs born in North Dakota.